Wisconsin’s Buffalo County has consistently produced loads of “Booner” bucks over the past five years. So, how can you get in on the action? My wife just smiles when I fondly whisper “Oh, deer” and she sees me looking past her at the wide, tall and heavy 174-inch whitetail hanging on the living room wall just beyond her recliner. It’s four months in on our 47th Wisconsin deer season together. She knows my thoughts are still out there in the woods, even though my body is warming in front of the fireplace. We finally moved to bluff country, just a stone’s throw from the Mississippi River, 13 years ago. World class whitetail hunting is literally out our back door. The first step in recovery is realizing you have a problem. My name is Ted. I am a deeraholic. Luckily, I live in a great part of the country to feed this obsession. If tall tines are an undeniable vision quest, the first step is accepting the monster of the marsh gets a vote in any fateful encounter. They seldom make mistakes, even in full-blown rut. Even with meticulous effort toward becoming a scent-free ghost of the timber, with optimum wind and environmental conditions, odds of success are slim at best — even if no human has come within 100 yards of a stand placed in late summer. 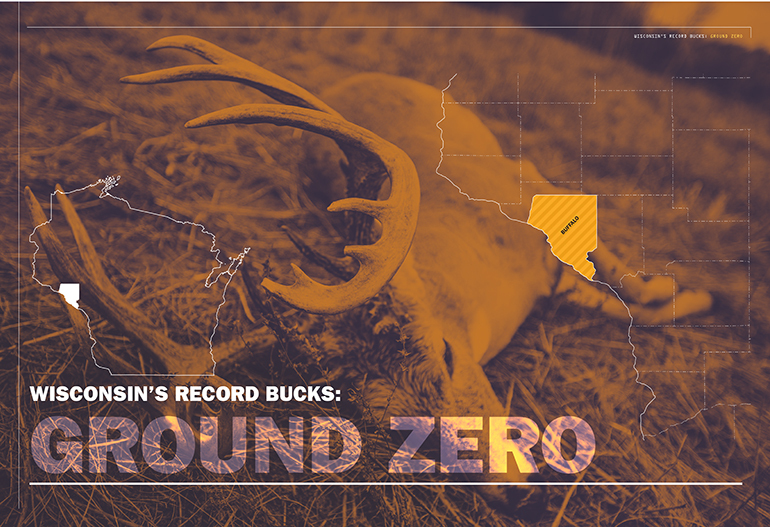 That said, Wisconsin still offers some exceptional opportunities for harvesting a record-book buck. Here’s a look down the trail to help you prepare for the hunt of a lifetime. Both are good options until you just give up and start looking to buy property where the big bucks run. Buffalo County is ground zero in the world. There are several reasons Buffalo County is perhaps the best place on earth for growing trophy whitetails. Almost all of the land in those majestic rolling hills is privately owned, primarily by big landowners. Over 90 percent of these landowners participate in quality deer management programs. Deer leases for the 2019 season are essentially non-existent already. Cory Mielke of High Tines Outfitters says there are only two public hunting grounds in the entire county worth checking out. Both require hip boots — at least — to get back to where the deer are. Mielke says “trophy deer get harvested every year” on the 800-acre Tiffany Bottoms near Nelson and the considerably smaller Big Mondovi Swamp. Realtor Jarrad Fluekiger says “There are always places for sale” in Buffalo County. Fluekiger backed into selling real estate. His Rutting Ridge Outfitters business took him all over the county to acquire 3,000 acres of prime hunting ground on eight different properties. Fluekiger’s family has lived in the area for generations. Like his dad, the legendary Lee Fluekiger, Jarrad is also a world class walleye guide. Lee bears the blame for sending Jarrad into a lifetime spiral chasing walleyes and whitetails, and he works daily to corrupt his grandchildren in a similar fashion. High Tines and Rutting Ridge are two of about a dozen deer hunting outfitters in Buffalo County. Mielke owns or leases about 4,000 acres, operating one lodge in Buffalo County and another just down the road in Crawford County. Crawford isn’t always in Wisconsin’s top five counties for trophy deer harvest, but there is plenty of good habitat and quality hunting there, with the possibility to secure a good lease or perhaps even find success on less trampled public hunting grounds. This is also the case in all the other “bluff country” counties along the Mississippi from Grant in the south to Polk in the northwest. One thing that separates Buffalo County from other top monster buck counties is the nearly universal participation in quality deer management. Mielke strictly enforces a 140-inch minimum with his hunters. Harvesting a smaller buck will cost you an additional $1,000. If you’re one of the clients Fluekiger outfits every year, shooting anything smaller than 130 inches will result in a $750 penalty. A major key in being a successful outfitter is low-impact hunting. Mielke outfits about 20 hunters annually, charging $5,000 for the entire bow season and an additional $1,000 for rifle and late-season muzzleloader hunting. He never has more than eight hunters in camp at one time, figuring 100 acres for every 1-2 hunters with a sit on one of his 250 stands driven by wind and other considerations. Mielke said 85 percent of clients have the opportunity for a good shot at a trophy, with an overall success ratio of 35 percent. Fluekiger said his operation offers a 90 percent kill opportunity on a 130-inch or larger buck. “There are so many variables between a trophy buck coming down the trail and actual harvest,” Fluekiger said. “Even if you do everything right, something can still go wrong”. Besides the “Bone Collector” option of an all-inclusive archery hunt of up to 24 days for $4,250, Fluekiger offers three-day hunts for $2,500 and five-day all-inclusive hunts for $2,950. If you can find a lease in a top deer county, the average cost is $750-$1,500 for a 40-acre parcel. Stand placement, pre-season scouting, lodging and other logistical concerns must all be factored in. Essentially, the entire equation boils down to time versus money. Odds are, you’ve already explored public hunting grounds and Wildlife Management Area (WMA) options available in all top deer counties this year and in seasons past. Cory Mielke is correct. Trophy deer are harvested on Buffalo County public lands and similar public grounds every year. Luck plays a substantially greater role on public lands than dedication and superior hunting skills. Most public lands prohibit leaving stands in place overnight. Setting up trail cameras is just inviting theft. You might be intimately familiar with a public land to the point where you can assess the wind and sneak to the optimum location with a climbing stand during peak rut in the middle of the night. Any buck worth shooting will already know you’re in the vicinity before shooting time arrives. The unknown number of other hunters stumbling around out there might push him close enough to offer a good shot. This is how most trophy bucks on public grounds end up getting tagged. 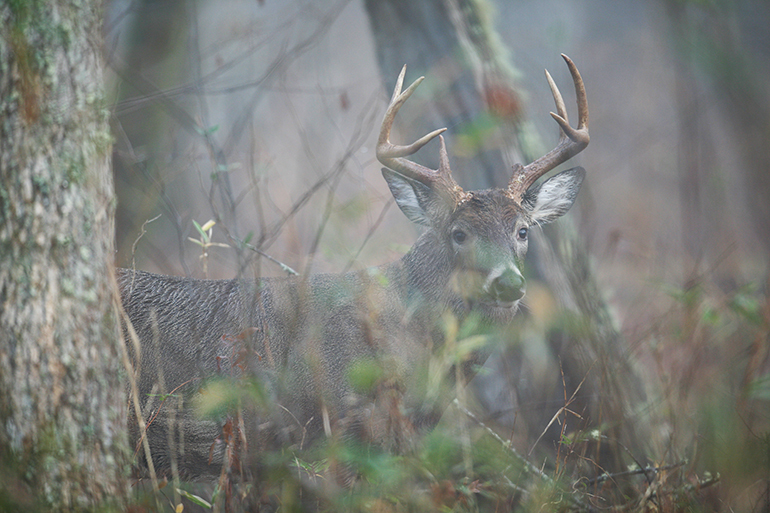 Are you truly addicted to the quest for a trophy buck? Time to face reality. Harvesting a big buck will almost certainly cost you big bucks. You can buy or lease land, with the possibility of tremendous rewards through considerable sweat equity. With hunting skills commensurate with your passion, there is an 80- to 90 percent chance that $3,000-$6,000 spent with a reputable outfitter will result in a shot at a trophy. This option is certainly cheaper than marrying the farmer’s daughter. I was only 20 years old when I asked an absolute angel to be my bride. My Dad had to sign at the county clerk’s office to get a marriage license. A sign behind the clerk’s desk indicated marriage licenses were $10. This was the answer I gave Dad when he asked the price. So far, his response of “$10 and every cent you make for the rest of your life” has been spot on. Almost a half-century later, my wife hasn’t run out of patience, but our cabin in bluff country is pretty much out of walls for hanging horns. Oh, deer!